Vishay Intertechnology, Inc.today broadened its optoelectronics portfolio with the introduction of a new 2.5 A IGBT and MOSFET driver. 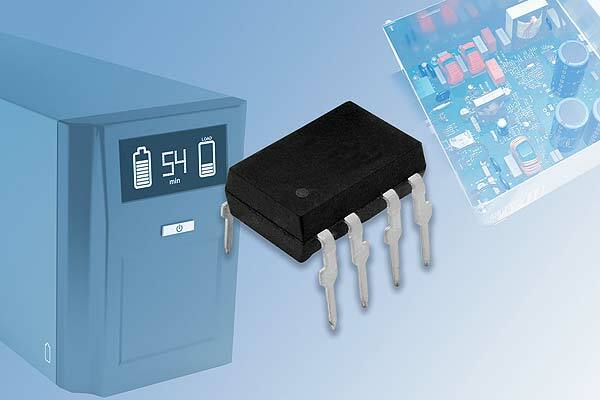 Available in DIP-8 and SMD-8 packages, the Vishay Semiconductors VOD3120A features low voltage drop on its output at a low current consumption of 3.5 mA to increase efficiency in inverter stages. The optocoupler offers a maximum propagation delay time of 0.5 µs for applications requiring fast switching. The RoHS-compliant device operates over a wide power supply range of 15 V to 30 V and an industrial temperature range from -40 °C to +105 °C.